For Christmas I made a Gingerbread Tiramisu. A bit out of the ordinary but I was really missing the smell and taste of gingerbread with Christmas. In Australia Christmas is all about the trifle, the pavlova, mangoes and the 'barbie'. My attempt to bring back some European Christmas flavours worked out well, and we had some Marsala left. "Marsala" I should say. Fake marsala. Made in some Industrial area in New South Wales. Artificial flavouring added to it. And cheap, very cheap. Unfortunately I couldn't find the real thing and I wasn't prepared to spend lots of money on it either. One thing is for sure, the tiramisu would have tasted SO much better if I would have used proper Marsala. I didn't want to throw out the rest of it, so I decided to cook with it. 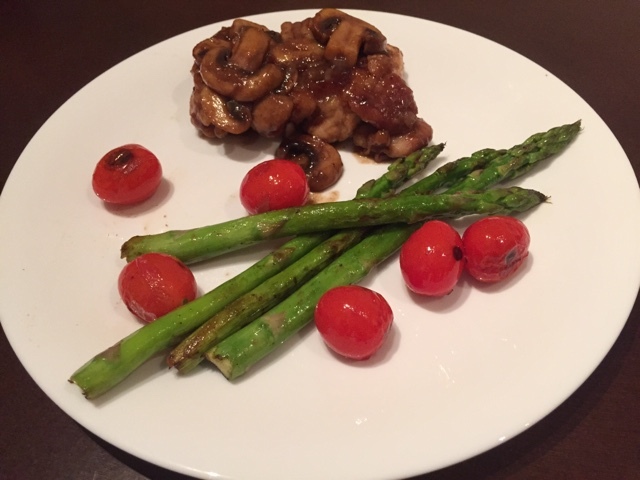 I found this smart Chicken Marsala recipe from Saveur on Pinterest. I didn't need heaps of ingredients and it was easy to make. 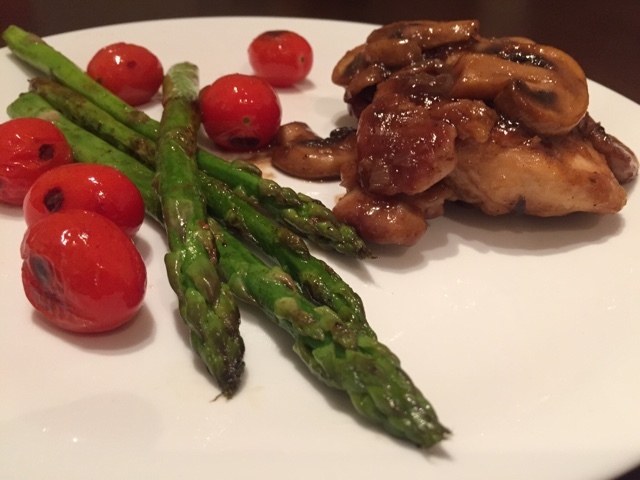 I served the chicken marsala with some bread and asparagus. The taste was sweet (and again, would have been so much better if I would have used real marsala) and very rich. You don't need a lot of it to be satisfied and it can be easily heated up the next day for lunch.